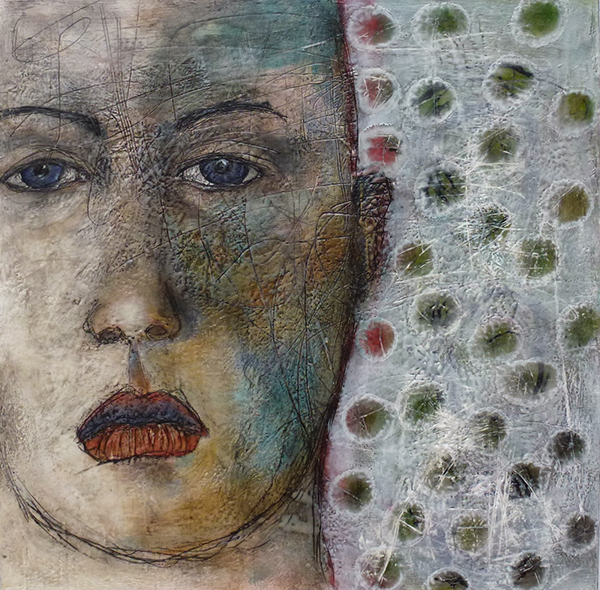 I have been actively seeking perspectives of artists living outside the United States who work in encaustic. Some I have met at the International Encaustic Conference on Cape Cod and others through my travels. As I talked with each of them, my interest was renewed in finding out the different ways of working in wax and how their different styles came into being. Accessibility to classes or teachers, materials, and peer groups seem to be some of the most influencing factors in this equation, though strong work goes beyond boundaries and languages to form part of the ‘what is going on’ in encaustic at this time, from beginners to accomplished artists on both sides of the pond(s). So, one of the most common links among the first three artists in this series is their perseverance in finding out how to work with the medium. In their countries, they are pioneers in their field. Reiny Rizzi-Gruhlke from Luxembourg depicts portraits, isolating her subjects against a colorful backdrop, highlighting their particular features, clothing, and demeanor, to produce a frank and intimate image. Her color and subject matter are refreshing. 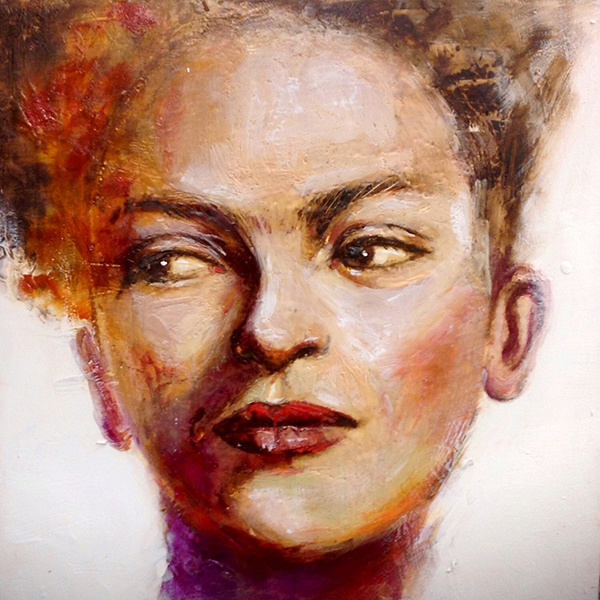 Lora Murphy, who lives and works in Killarney, County Kerrin, Ireland, creates complex, strong faces with textures and masterful handling of the central important features. She also brings a sophisticated sense of technique and composition. 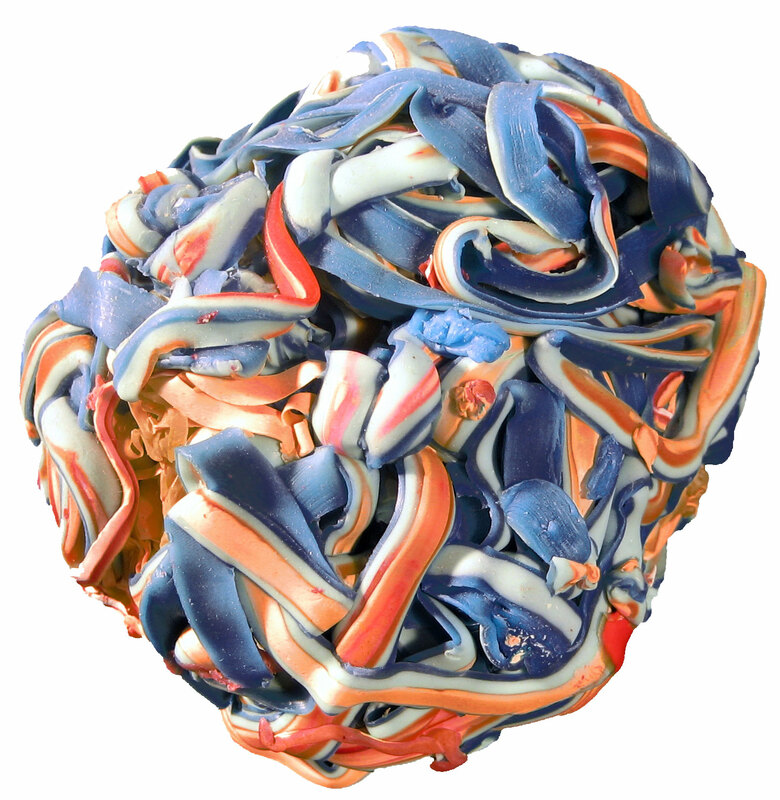 She says, “I think there is much more figurative and representational work done by artists outside the United States. 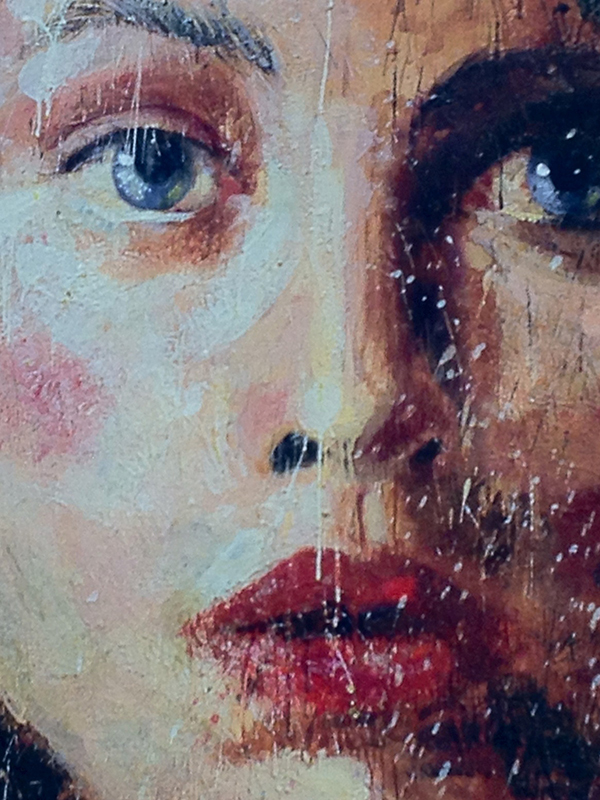 The majority of North American artists seem to work in abstraction if they are painting with encaustic. Artists in the U.S. have much more access to all things encaustic: exhibitions, classes, workshops, materials, other artists! “I am deeply inspired by the interconnectedness of all beings, the human journey that has brought us thus far, and the realms of consciousness and imagination that can be explored. I paint my responses to the world around and within me, the people who inspire me, and the elements of life that ignite my deepest passion. Beeswax becomes not just the medium of expression but also a symbol of transition and transformation connecting me to a world of emotions and feminine energies. My work is often layered with symbolism, and my studies in Jungian and Archetypal Psychology and Alchemy find constant echoes in my painting. 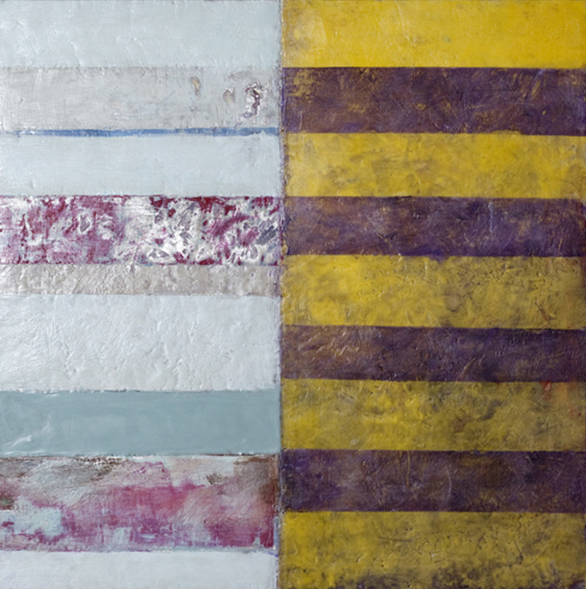 Myriam F. Levy, living and working in Israel, works geometrically with mastery of the medium, using wonderful combinations of colors and textures that bespeak a fluency with contemporary abstraction. 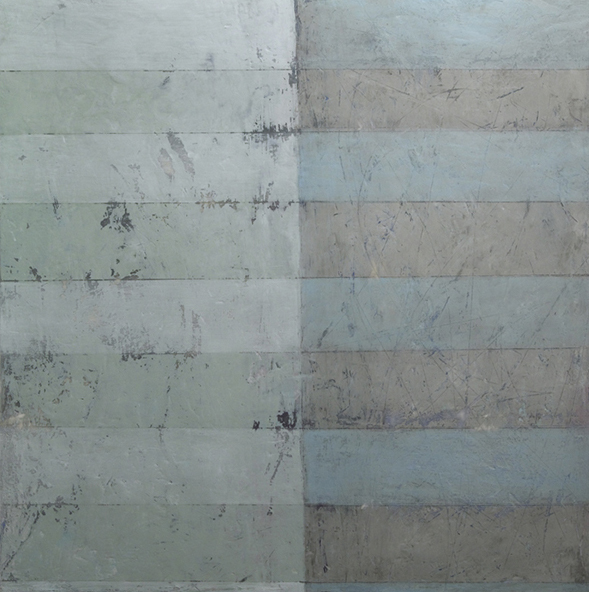 Levy employs simplified, color-dominated fields in her reductive paintings. “My work is experiential, meditative and intuitive,” she says. 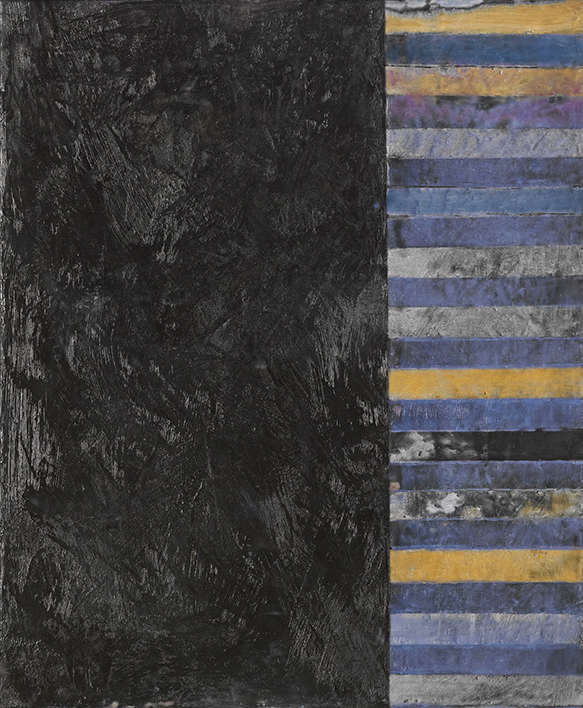 “In my work process, I am adding layers of material, scraping, concealing and revealing underlying layers of material in various states of solidity. This allows me to explore textures and rhythms which evolve into various time sequences. My challenge is to achieve simplicity and harmony that exceed materiality in a world full of opposing forces, inner and outer, private and universal. 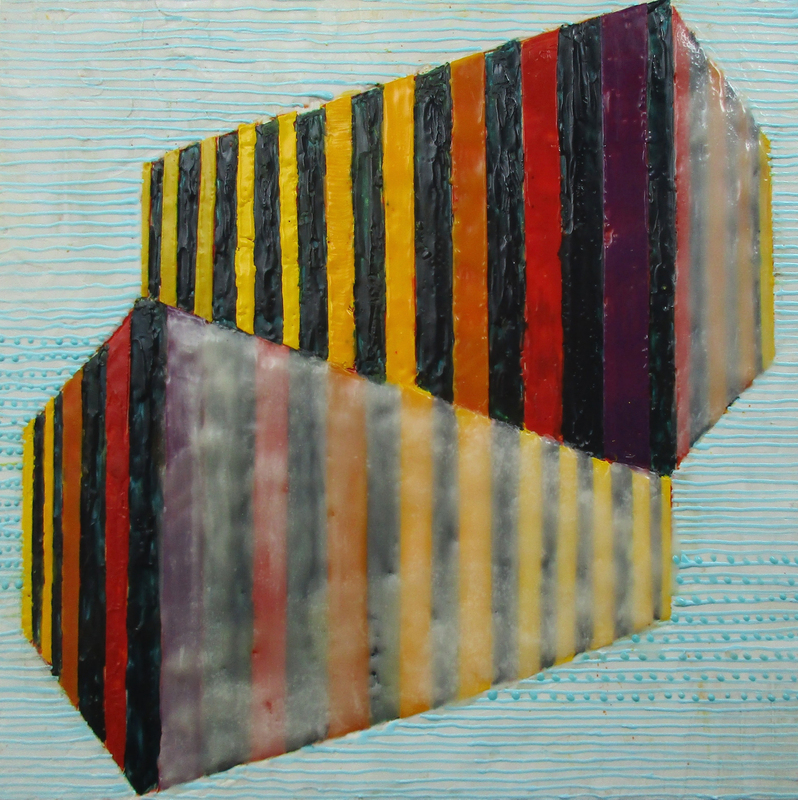 “My work moves between the lyrical, meditative and the defined geometrical divisions. I am interested in time, space, color, and texture. The first time I was exposed to artwork with wax was in 2006. I was participating at the Art Expo in Toronto and came across two artists working in encaustic. 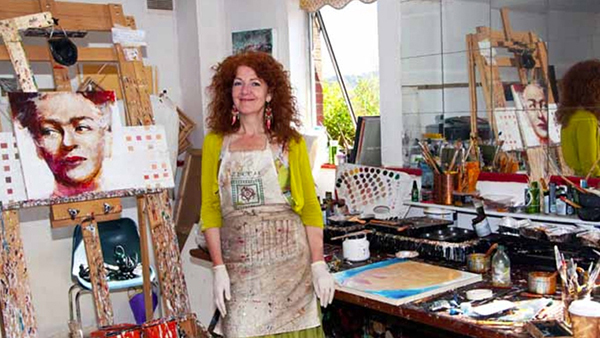 Hi, I am an Irish artist working in encaustic for over 20years. I do run the occassional workshop having of necessity to have explored this medium on my own, delighted to make contact. 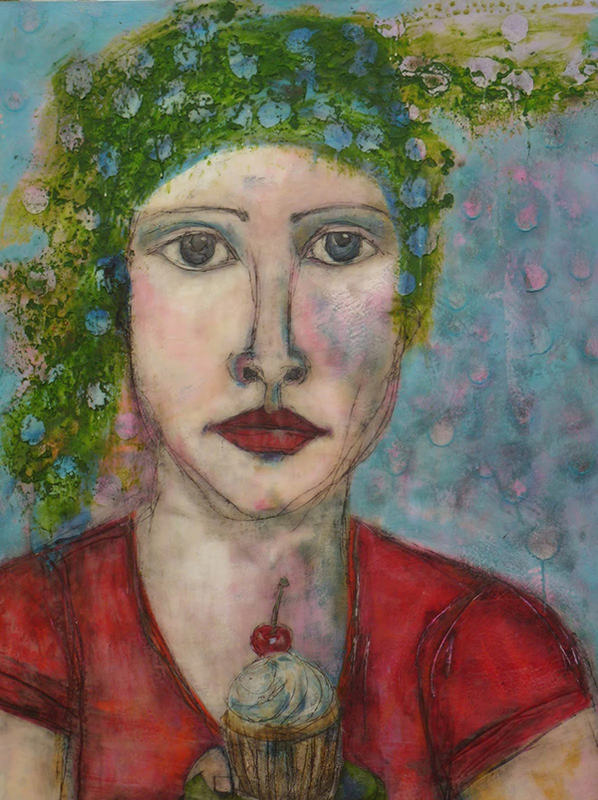 Hi, I am an encaustic artist and have been working in the medium for a long time. I do go to workshops from time to time and have explored the medium a lot on my own. I am currently working on a new series of images that utilizes calligraphy, and line. I am glad that there will be international contacts.